SMOK MORPH 219W TC Kit is the newest combination of power and beauty from SMOK family. The MORPH Kit mainly includes a SMOK MORPH MOD and a 6ml SMOK TF Tank or a 2ml SMOK TFV Mini V2 Tank. Working with external dual 18650 batteries and an intelligent IQ-S chip, the SMOK MORPH MOD can fire up to the max output of 219W with instant 0.001s firing speed. 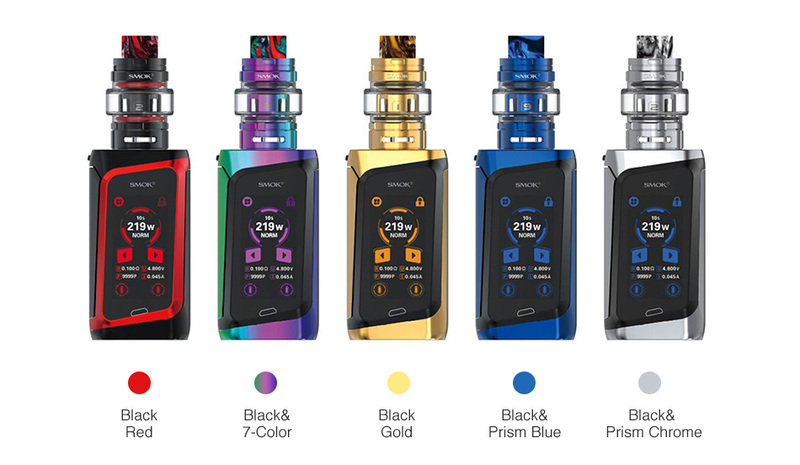 And SMOK MORPH also has large 1.9” HD touch screen and amazing resin panel on the back for easier operation and stunning looking. And the TFV Mini V2 Tank comes with 2ml e-juice capacity and latest Mini V2 S1 Single Mesh Coil/Mini V2 S2 Quadruple Kanthal Coil, which can also provide excellent vaping flavor. Take the SMOK MORPH Kit with TF or TFV Mini V2 Tank and ready to lost in the massive vapor!